Collectively, all of the species of fleas are categorized under the order name of Siphonaptera. 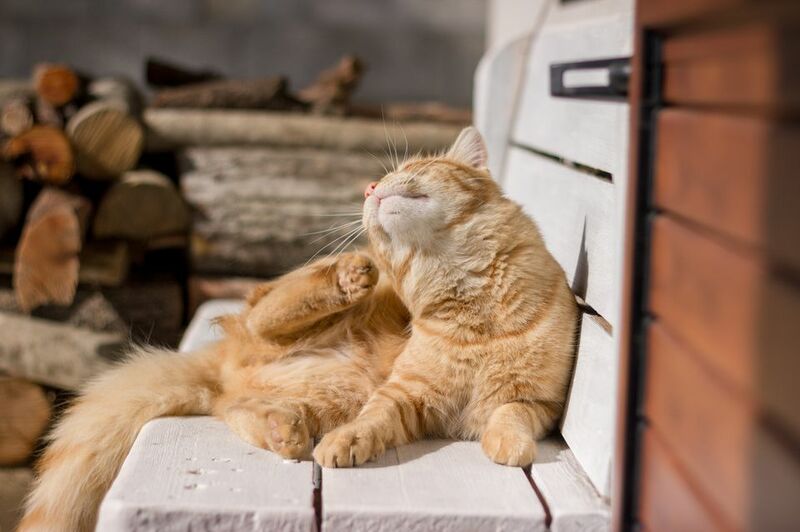 The cat flea, Ctenocephalides felix, is the most commonly found flea in the US and infests cats, dogs, humans, and other mammalian and avian hosts. The adult flea is very flat side to side. There are hair-like bristles on the flea body and legs to aid in their navigation through pet hair. Fleas have 3 pairs of legs, the hindmost pair designed for jumping. Fleas are well known for their jumping abilities. Adult fleas prefer to live on the animal and their diet consists of blood meals courtesy of the host animal. The female flea lays white, roundish eggs. The adult female flea can lay up to 50 eggs per day1, 500-600 eggs2 over several months. The eggs are not sticky (like some parasites), and they usually fall off of the animal into the carpet, bedding, floorboards, and soil. When the flea egg hatches varies -- anywhere from two days to a few weeks, depending on environmental conditions. The larva emerges from the egg using a chitin tooth, a hard spine on the top of the head that disappears as the flea matures. (plural = larvae): The larval stage actually has three developmental stages within this stage. Larvae are about 1/4" (6.35 mm) long, and semi-transparent white. They have small hairs along their body and actively move. They eat the feces of adult fleas (which is mostly dried blood) and other organic debris found in the carpet, bedding, and soil. Depending on the amount of food present and the environmental conditions, the larval stage lasts about 5 to 18 days (longer in some cases) then the larva spins a silken cocoon and pupates. (plural = pupae): The pupa is the last stage before adult. The adult flea can emerge from the cocoon as early as 3 to 5 days, or it can stay in the cocoon for a year or more, waiting for the right time to emerge. When is the right time? (Never, say pet lovers everywhere!) Stimuli such as warm ambient temperatures, high humidity, even the vibrations and carbon dioxide emitted from a passing animal will cause the flea to emerge from the cocoon faster. This brings us back to the adult flea. The entire life cycle is quite variable, as evidenced by the variability in each life stage progression. As mentioned above, the cycle can be as short as two weeks or as long as two years. That is why it is so important to remain vigilant, even when a flea problem is thought to be under control!